As a tech writer, I have always tried to base the books and articles that I write squarely upon reality, and avoid writing about technologies that are purely Hollywood fabrications. For instance, I have never written about star gates, light sabers, or transporter beams. Today, however, I am throwing that philosophy out the window as I write about Skynet (of Terminator fame). Before you assume that I have lost my mind, though, let me assure you that there is a method to the madness. Since all of the Terminator movies involved time travel, let me too begin the story with a journey into the past -- when I attended the Microsoft Ignite conference in Atlanta in September. As was the case with last year’s Microsoft Ignite, and TechEd before that, the event’s exhibit hall was a source of endless amusement. 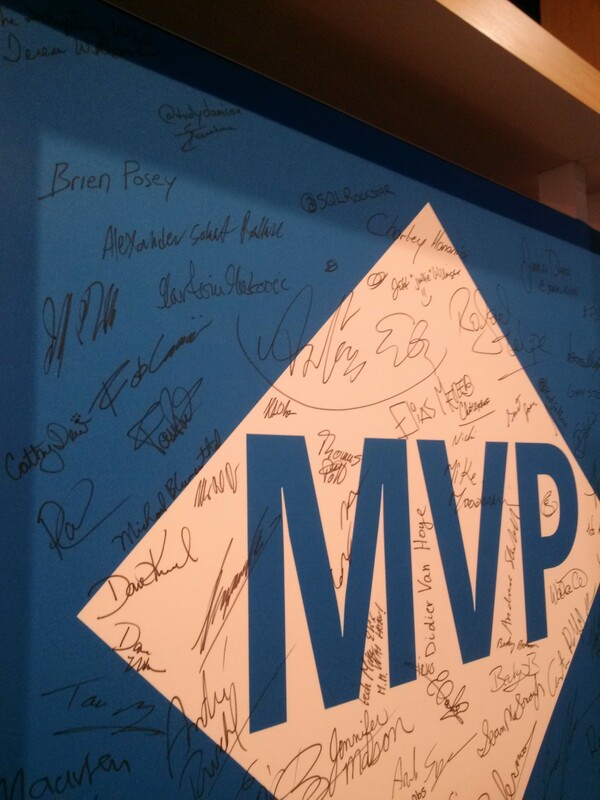 My exhibit hall odyssey began with a quick stop at the Microsoft booth to sign the Microsoft MVP board. From there, I dodged video conferencing robots that were also roaming the exhibit hall in my quest to discover new and unusual technical exhibits. Microsoft’s collection of disassembled Surface hardware also made for an entertaining diversion. I just had to sign the MVP board. 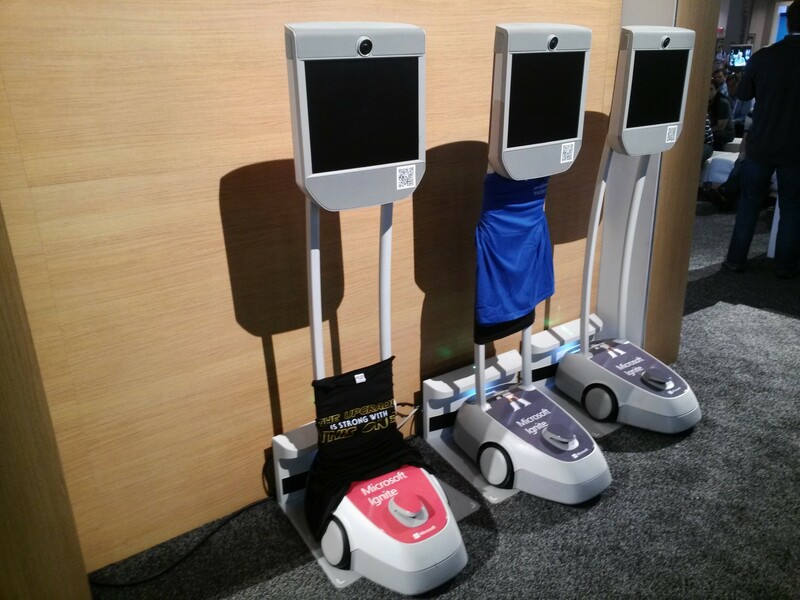 Video conferencing robots like these roamed the exhibit hall alongside the attendees. 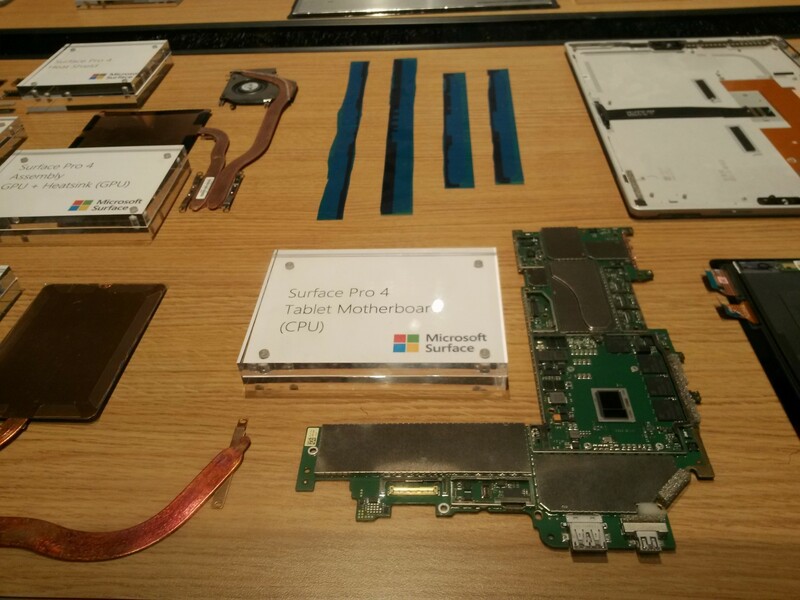 Microsoft had some really cool displays featuring disassembled hardware. This one used to be a Surface tablet. And of course I always enjoy seeing what kind of giveaways the vendors are passing out at their booths. 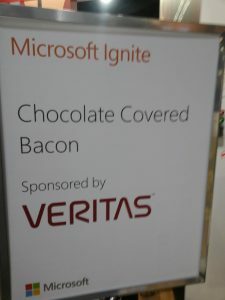 This year, I think that Veritas probably had the most creative giveaway – chocolate covered bacon. Unfortunately, I can’t tell you how it tasted, because I am a vegetarian. 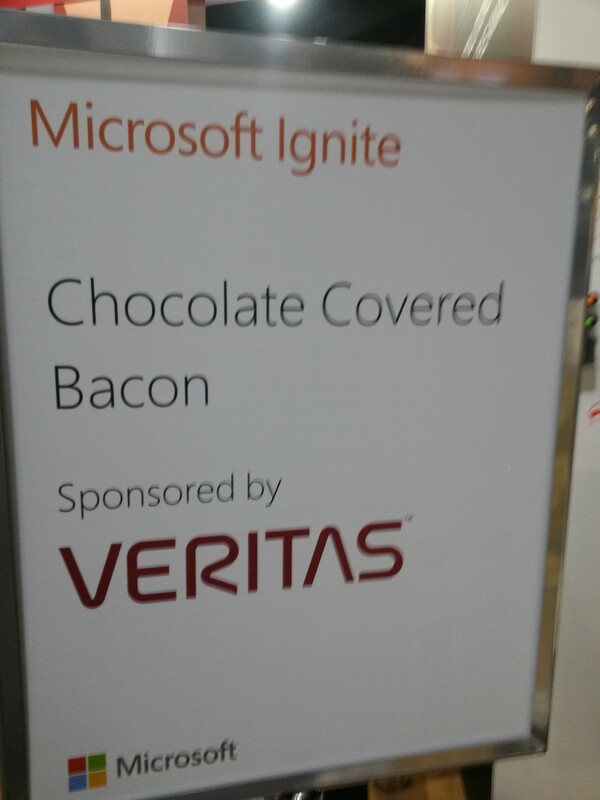 Attendees were treated to chocolate covered bacon. Although the exhibit hall rarely disappoints, the coolest thing that I saw at Ignite was the Innovation Keynote. As you can see below, this keynote attracted a huge crowd. Thousands of people flocked to the afternoon keynote. The Innovation Keynote was about all of the fun, creative, and innovative things that Microsoft has been up to lately. 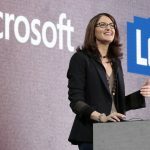 The keynote focused heavily on Microsoft’s investments in artificial intelligence (AI). 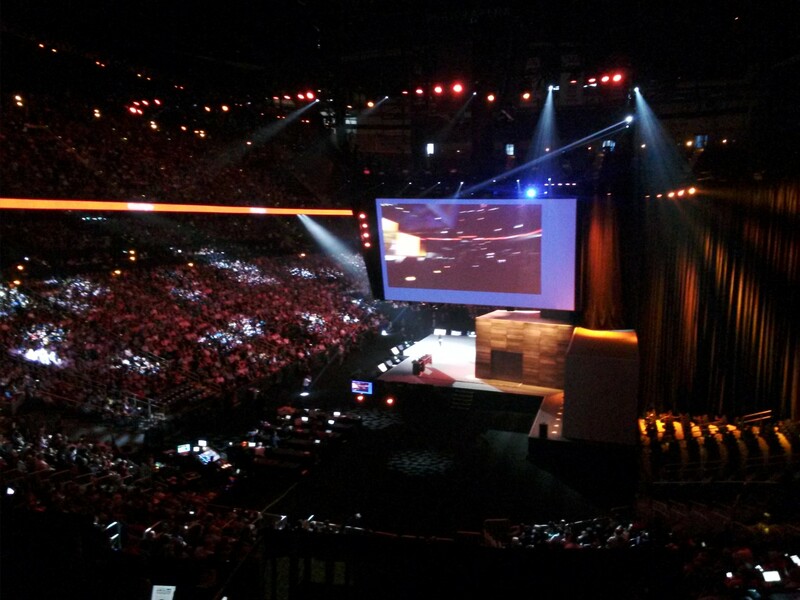 During the keynote, Microsoft performed many impressive demos. For example, Microsoft demonstrated how millions of Wikipedia articles (over 3 billion words) could be translated into another language within a fraction of a second. However, the demo that made the biggest impression on me was the one that showed how Microsoft is working with Lowe’s home improvement stores in an effort to use technology to make kitchen renovations easier. For those who might not have seen this demo (it’s in the link to the YouTube video earlier in this article at about the 37-minute mark), it started with a couple collecting pictures of kitchen designs that they like, and posting those pictures on Pinterest. 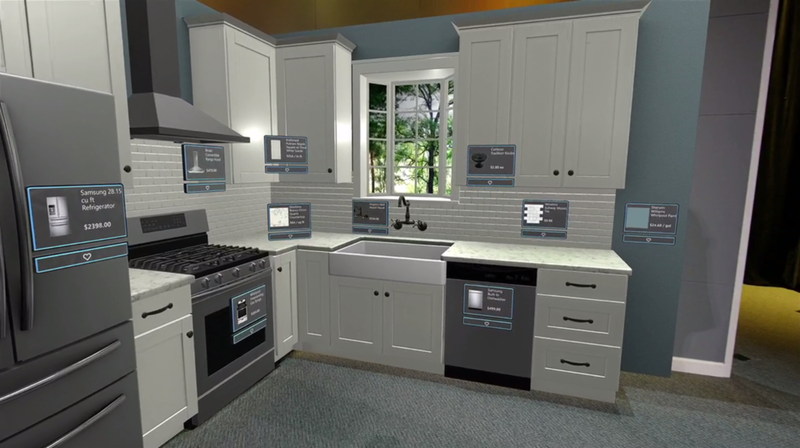 The Microsoft AI engine was then able to analyze those pictures, and come up with a kitchen design based on the couple’s tastes and on the items that Lowe’s sells. That alone would have made for an impressive demo, but Microsoft took the demo to the next level by leveraging the power of HoloLens. HoloLens holographically rendered the proposed kitchen design in a way that allowed the couple to walk around in a three dimensional rendering of their new kitchen. While doing so, the couple could change individual design elements such as countertops, tile, and even counter height. The software was able to provide suggestions based on the couple’s Pinterest photos and on items that Lowe’s commonly sells with the items that are included in the design (such as tile that is commonly purchased with a specific countertop). The thing that was so impressive about this demo was that it took all of the guesswork out of a renovation. The couple involved in the demo was able to see exactly how their selections would look, rather than having to guess which items might aesthetically complement one another. Best of all, the software overlays pricing information onto each item, making it easy to determine exactly how much the entire renovation will cost. In the event that the renovation exceeds the budget, the pricing information could presumably be used to help figure out how to trim some of the costs. As someone who has been through a few major home renovations, I was completely mesmerized by this demo. As I left the keynote, I was thinking about how much I wish that the technology shown in the demo had existed at the time of my last renovation. Although I was generally happy with the way my own renovation turned out, there are a few things that I would have done differently had I been able to see a holographic rendering of the completed project prior to purchasing the materials. Although my own impressions of the keynote were overwhelmingly positive, not everyone felt quite so optimistic. As I made my way out of the venue, I overheard another attendee say that he wasn’t so sure about “all of this crazy AI stuff.” He went on to say that these types of advances in AI were what lead to the creation of Skynet and eventually to the rise of the machines. At first I laughed at the comment, assuming that the guy was trying to be funny. As he continued to talk however, it became apparent that he had some very real concerns. I seriously doubt that the guy actually expected Microsoft AI technology to lead to a Terminator style apocalypse or a war against the machines. He did, however, express concern about the potential for the technology to be abused, and for there to be unintended consequences associated with advancements in AI. At that point, someone else spoke up and brought up the topic of genetics. The computing technology that had been demonstrated during the keynote could, he said, conceivably be used to fully sequence the human genome and to establish conclusive links between genetic anomalies and various diseases. While that might seem like a positive thing, the attendee made the point that if genetics can be used as a reliable indicator of future health, then it would only be a matter of time before insurance companies begin to require genetic testing, and use that testing as a basis for determining whether or not to cover an individual. The attendee went on to say that the ethical issues would be compounded by the fact that genetic testing does not just reveal information about the person being tested, but also about the person’s parents (and to some extent grandparents). My take is that any technology carries with it the potential for abuse and for unintended consequences. The wheel was one of the most important inventions in all of human history, and yet there have been countless fatal accidents involving wheeled vehicles. The Internet is another one of the human race’s greatest inventions. It has changed the way we communicate and has completely reshaped daily life for billions of people. Even so, the Internet is also abused by hackers, spammers, trolls, etc. But I think that most people would probably agree that the benefits derived from the wheel, the Internet, fire, and countless other inventions outweigh the negative consequences associated with their use. So could artificial intelligence eventually cause machines to become self-aware and launch a war against the humans? Maybe. But I have to assume that safeguards will always exist that will allow humans to retain control over their creations. In fact, such already exist. If you don’t believe me, then just ask Cortana the question, "Who made you." She responds by saying, "If I knew that, I'd have self-awareness, and that might be dangerous."